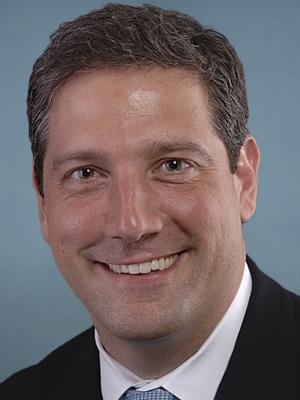 Info Timothy "Tim" Ryan was elected to the U.S. House of Representatives on November 5, 2002 by the people of Ohio's 17th Congressional District. Congressman Ryan has quickly proven himself to be a strong leader in Congress and a tireless advocate for the constituents of his district. Since taking office, Tim has worked with members of both parties to secure over $72 million in federal money for important local projects throughout his district--funding to help fix roads and bridges, support innovative research and development at area universites and businesses, improve the quality of life in Northeast Ohio, and attract good quality, high paying jobs. Tim serves on the powerful Labor, Health, and Human Services Subcommittee on Appropriations and Energy and Water Subcommittee on Approriations. He is also the co-founder and co-chair of the House Manufacturing Caucus, a bipartisan group of lawmakers who work together to preserve America's manufacturing jobs. Tim is a champion on behalf of America's poor and middle-class and he continues to work to ensure our nation is secure at home and abroad. He is working with his Democratic colleagues to increase the minimum wage, reduce government waste, fraud, and abuse, lower the cost of health care, restore fiscal discipline to the federal budget, make college more affordable by cutting interest rates on college loans, and equip our military and first-responders with the tools they need to keep America safe. Prior to being elected a United States Congressman, Tim served as a State Senator in the Ohio Legislature. In the Ohio Senate, Tim served as the ranking minority member on the Senate Ways and Means Committee, a member of the Senate Committee on Highways and Transportation, the Judiciary Committee on Criminal Justice, and the Senate Insurance, Commerce and Labor Committee. Ryan spearheaded efforts to establish a state-based earned income tax credit, standardize community school data reporting, and strengthen laws penalizing sexually-based offenses. He also worked closely with students to find new ways to engage young people in the political process. Tim began his career in public service as a congressional aide with the U.S. House of Representatives in 1995 and later served as an intern for the Trumbull County Prosecutor's Office. Ryan holds a law degree from the Franklin Pierce Law Center in New Hampshire and studied abroad as part of the Dickinson School of Law's International Law Program in Florence, Italy. He graduated with a Bachelor's Degree in Political Science from Bowling Green State University in Bowling Green, Ohio. Born July 16, 1973 in Niles, Ohio, Tim is the younger of two sons, both raised by their mother, Rochelle, with the help of their grandparents, Anna and John Rizzi. He attended John F. Kennedy High School in Warren, Ohio. 03/10/2020 OH District 13 - D Primary ?? ?